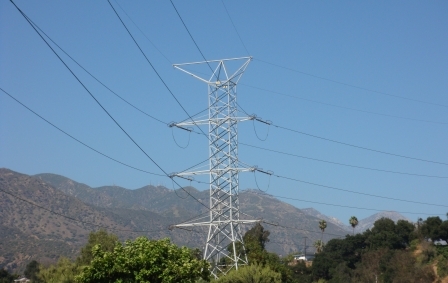 SCE transmission towers transmit electrical power throughout the region. Local conditions such as land use patterns, transportation options, and individual consumer consumption decisions impact energy use within the City. How we build neighborhoods, and construct and operate the buildings within them, can reduce per capita energy demand, increase conservation opportunities, and incorporate alternative energy sources. Finding ways to reduce the energy demands (including transportation of water) and encourage the development of renewable energy resources within the City can not only reduce our reliance upon non-renewable energy resources but can also make the City more ecologically and economically sustainable. Cost-effective and reliable energy system sustained through a combination of low impact building, site and neighborhood energy conservation and diverse sources of energy generation that collectively helps to minimize the region’s carbon footprint. Conservation Strategy. We require conservation as the first strategy to be employed to meet applicable energy-saving standards. Green Development– Communities. We require the use of best practices identified in green community rating systems to guide the planning and development of all new communities. Building and Site Design. We require new construction to incorporate energy efficient building and site design strategies, which could include appropriate solar orientation, maximum use of natural daylight, passive solar and natural ventilation. Green Development– Public Buildings. We require all new and substantially renovated City buildings in excess of 10,000 square feet achieve a LEED Silver Certification standard, as determined by the U.S. Green Building Council. Fuel Efficient and Alternative Energy Vehicles and Equipment. We purchase and use vehicles and equipment that are fuel efficient and meet or surpass state emissions requirements and/or use renewable sources of energy. Generation- Renewable Sources. We promote the use of renewable energy sources to serve public and private sector development.